I love watching a person’s face when I say what I put in my smoothies. This is good stuff you guys! Had I not tried it, I would have stuck my nose right up at the idea of adding parsley or lettuce or freaking zucchini for that matter. But, I am telling you the blend works and tastes good too. Parsley is an herb rich in vitamin A, vitamin K, folate, beta-carotene, calcium, iron, antioxidants, and essential oil. Health benefits include inhibiting cancer, detoxifying, anti-inflammatory, immune booster, building bone, and removing gallstones (contains oxalic acid/kidney cleanser). Traditionally, parsley has been used to remedy anemia, bad breath, and menstrual pain. This recipe is perfect for anyone on The Body Ecology Diet (B.E.D.). In general, vegetable-blended smoothies are an easy way to get your daily fix and even easier to digest; which is key when healing a digestive issue. Whether or not you are on a gut healing protocol like B.E.D., this smoothie gets a green light and thumbs up! Try them and you may, I say. 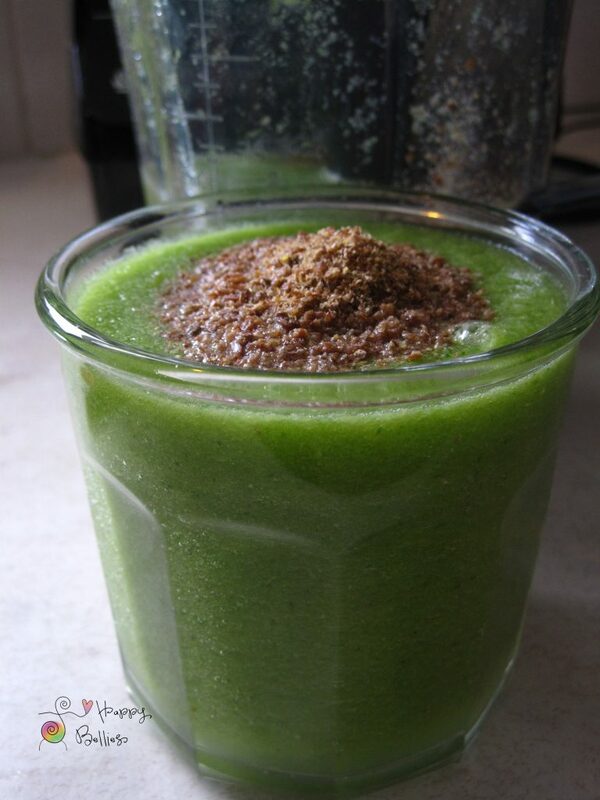 Blend the water and flax seeds in a Vita-Mix or other high speed blender. Let this mixture sit while you wash and prepare the other ingredients. Add in the other ingredients and blend until smooth and creamy. Taste and add in more of anything that your taste-buds desire. Store in the fridge in a sealed glass jar for up to 3 days. Replenish gut flora with the contents of 2 probiotic capsules for strong immunity and digestion. A splash of probiotic-rich liquids like coconut kefir or InnergyBiotic make health-promoting additions too. Thicken things up with young coconut pudding – green smoothie in a bowl! Add a scoop of collagen peptides or sunflower seeds (soak first) to increase the protein. Pomegranate give a touch of sweet expansiveness to this alkaline, vegetable smoothie. Ideally, fruit is best eaten alone on empty stomach for optimal food combining, but seems to be fine combined with raw leafy greens. 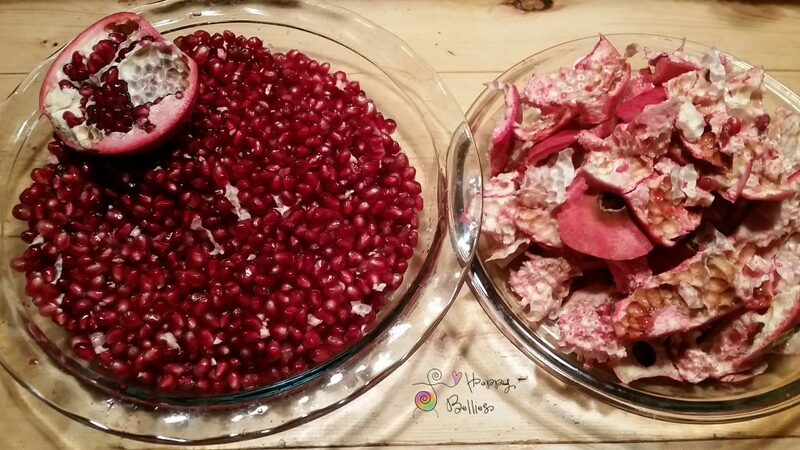 If pomegranate is too sweet for you (i.e. causes yeast flare) leave out and add more stevia. Looking for more fat? Add in cold-pressed flax oil or soy lecithin. *I like to add a pinch of mineral-rich sea salt to my smoothie to boost flavor, stimulate lymphatic system, replenish electrolytes, aid digestion, and help my body access energy. I do not recommend common table salt which is often heated to extreme temperatures, iodized, bleached, processed, and refined. My Favorite Supplements on B.E.D. This blog post may contain affiliate links, you can read here to learn more.